Why Settle for Less When You Can Own the Legend! 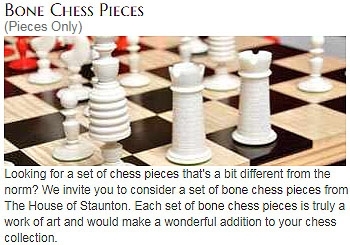 (Pieces Only) The House of Staunton is the manufacturer of the world's finest luxury chess sets. We invite you to browse our vast luxury chess set offerings and see for yourself why we are the preeminent luxury chess set manufacturer in the world. Why settle for less? Chess sets from the House of Staunton make terrific gifts! 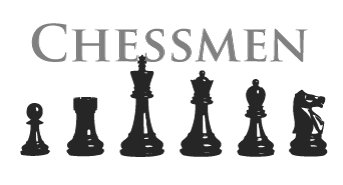 Our team of experienced chess set specialists are available via phone, email and live chat to answer all of your chess set questions. It's never been easier to find that perfect chess set for the chess player in your life. (With Board and Box) The House of Staunton offers the finest wood chess sets in the world. Whether you're looking for an inexpensive wood chess set for casual play or an luxury wood chess set to show off your artistic side, you'll find the perfect chess set at The House of Staunton. The chess specialists at the House of Staunton are proud to offer our themed chess set collection. We've paired up our favorite themed chess pieces with chess boards to create the perfect themed chess sets. (Pieces Only) The House of Staunton has an unbelievable selection of plastic chess sets at the Internet's lowest prices. We have tournament plastic chess sets, club plastic chess sets and travel plastic chess sets in stock and ready to ship. While we at the House of Staunton understand that you want to show off your House of Staunton Chess pieces by keeping them out on the chess board, we also recognize that it's not always practical. That is why we offer such a wide range of chess boxes for all of you storage needs! Shop today and protect your chess set! Starting a chess club and need affordable plastic chess pieces? Let the House of Staunton help you! We have a wide selection of plastic chess pieces on the Internet, all of which offer bulk pricing discounts. At the House of Staunton, the more plastic chess pieces you buy, the lower the per-unit price and the more you save! Themed chess pieces from the House of Staunton make the perfect chess gift. We are proud to offer the full line of Studio Anne Carlton themed chess pieces, all of which are now in stock and available for same day shipping. Handcrafted in the United States out of such exotic timbers as Walnut Burl, Amboyna Burl, Cocobolo, Bocote and Padauk, The House of Staunton offers the finest luxury wood chess boards in the world. 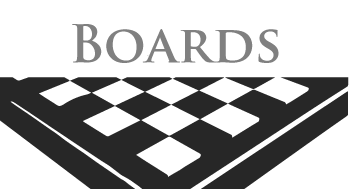 Click here to browse our extensive luxury wood chess board offerings. Whether you're looking for an affordable wood chess board to use with your children or a luxury wood chess board to decorate your house, The House of Staunton is your source for the finest Wooden Chess Boards in the world. With wood chess boards ranging from $39 to $5,000, we truly have a wood chess board for everyone! The House of Staunton chess boards come in all sizes and materials. We proudly offer Mouse Pad chess boards, Vinyl chess boards, Paper chess boards, Wooden chess boards. You won't find more chess boards anywhere else! Looking for a new chess clock? The House of Staunton has the widest selection of chess clocks on the Internet. We proud feature all major brands of digital and mechanical chess clocks, in stock and ready to ship at the lowest prices! The House of Staunton makes it easy to take your chess gear on the go with our selection of chess bags. We have the highest quality and widest selection of chess bags on the internet - even chess board carrying bags! Did you know that all House of Staunton tournament chess sets exceed all FIDE and U.S. Chess Federation (USCF) requirements for official chess tournament play. Gear up today! The House of Staunton is the internet's largest chess book specialty shop, with nearly 2,000 chess books and Chess Magazines that are in-stock and ready to ship. Don't see the chess book that you're looking for? Ask us! We probably have it! The House of Staunton offers more than 500 different Chess Software programs available, all at our everyday low prices. 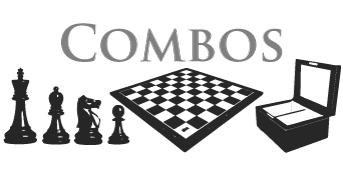 No matter what Chess Software you're looking for, you'll find it here! Chess DVDs are the best way to improve your Chess! They're up to 70% more effective than chess books, and a lot more fun. If you're serious about wanting to improve your chess, we invite you to browse the more than 700 chess DVDs and 200 chess eDVDs available from the House of Staunton.